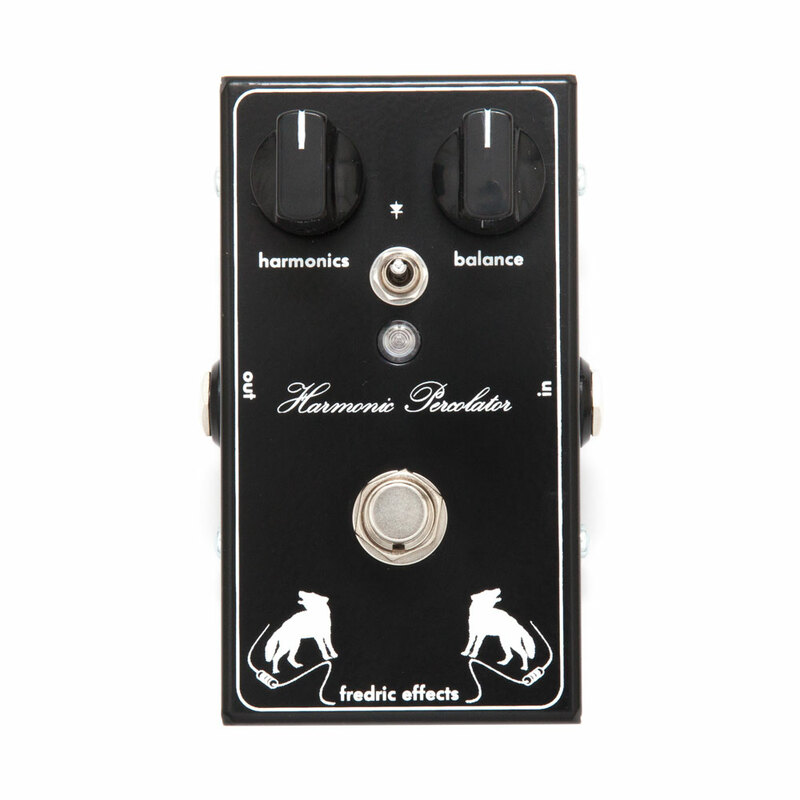 The Fredric Effects Harmonic Percolator Fuzz Pedal is an improved version of the Interfax Harmonic Percolator, an oddball fuzz/overdrive/distortion pedal from the 1970s popularised by Steve Albini of Shellac. Fredric Effects have added a switch to choose between three different clipping options which greatly adds to the versatility of the effect, choose between Silicon clipping (for a smoother sound), Germanium clipping (like the original for a grittier sound) or no clipping which produces an open more traditional overdrive sound with increased volume. Made with vintage correct components, NOS 2N404 Germanium, 2N3565 Silicon, and 1N695 diodes, all the hard to find parts of the originals but in a modern pedalboard friendly package. With DC power, LED indicator and normal rotary pots instead of sliders, you can have the most accurate Harmonic Percolator possible without sacrificing usability.